In December 2016, brand new LIFT99 Co-working & Event Space is opening its doors to the startup community in Telliskivi Creative City! Located in central Tallinn in the middle of Telliskivi Creative City LIFT99 will bring young talent closer to startup world and still be managed as Estonian startup centre, powered by Garage48. "This place is going to lift 99 rockstars up on their journey to startup world," says Ragnar Sass, founder of LIFT99 & Garage48. Telliskivi Creative City and Garage48 are helping LIFT99 to turn the former Baltic Railway and Tallinn Electrical Engineering factory building into the most unique startup centre in the Eastern Europe. Surrounded by the vibrant environment of the creative city LIFT99 will be a community connecting together the talent of IT, creative professionals and the entrepreneurial mindset. The space will continue to be the showroom of the top Estonian startups and will keep on hosting foreign delegations to show what the #EstonianMafia has to offer. The pay-it-forward culture that Garage48 started to spread in 2010 will also be the focus of LIFT99 - it is a community built by founders to founders. The space has 700m2 that divides into two. The biggest area is occupied by a co-working space and private team rooms for freelancers and companies. The open space offers residents a more healthy environment with top-level work station and a creative surrounding for both, meeting like-minded people and concentrating on their work. The cherry on top is a top-notch kitchen area for great coffee and lunch time meetings. Residents will have 24/7 access card and daily visitors are welcome during the working hours. In addition, there is an event space for hosting IT and startup themed meet-ups and seminars for up to 99 people. The field of events will be wide, starting from very technical hacking workshops to networking events with successful startups and world-famous VCs. “Garage48, a non-profit and volunteer organisation has been active now for almost 7 years. Additionally to organising hackathons in Estonia and Eastern European region we've also been managing Garage48 HUB Tallinn co-working space since 2010 and Garage48 HUB Tartu co-working space since 2015. During that time we've grown and learnt a lot about the startup environment, hackathons, but also about managing co-working spaces. 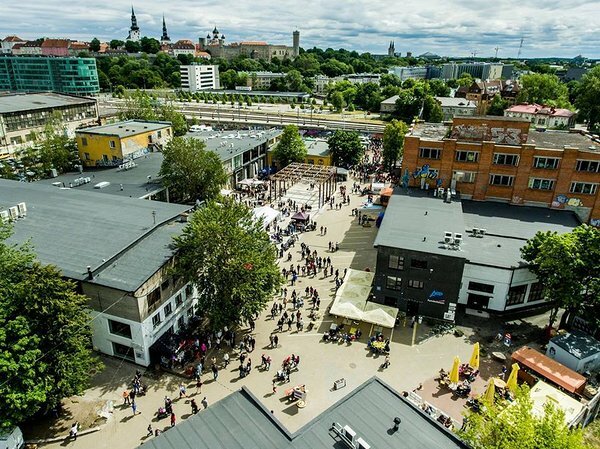 The spaces are the ones going through the transformation both in Tallinn & Tartu," says Priit Salumaa (Co-founder of Garage48, Mooncascade). Former Garage48HUB Tallinn will be renewed into LIFT99 and Garage48 HUB Tartu will continue operating with a cool hip brand sTARTUp HUB. Stay tuned for the opening in December 2016. In the meantime you can join us for an exclusive “Before & After” tour on 21st October in Telliskivi Creative City. See more on Facebook.